Nobody likes the idea of a cold house, and nobody likes the idea of a cold shower! To avoid the risk of either of these things happening, we recommend that you invest in our boiler service in Southampton. Our Gas Safe registered engineers are ready to receive your call so get in touch today on 02380 775666 to arrange your service. When your boiler breaks down, it’s usually due to neglect. To help avoid breakdowns, and to ensure its longevity, invest in a Southampton boiler service by COMBI-NATION. Our certified engineers are trained to spot and solve any issue that may be preventing your boiler from operating to its full capacity. 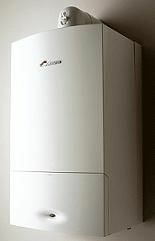 The most common cause of your boiler breaking down, aside from age, is the build-up of deposits within the system. As the layer of deposit thickens, your boiler becomes less and less efficient, which may be why you’re experiencing an increase in your energy bills. Once the layer of deposit becomes too much for your boiler, it’ll eventually stop working. When you use our boiler service in Southampton, you can be confident that our engineers will be able to apply their skills to make sure that your boiler is functioning at optimum capacity once again. This in turn means a reduction in your energy bills, and you no longer have to live in fear of having a cold shower! What can you expect from our boiler service Southampton? Once our engineer has carried out your boiler service in Southampton, they’ll supply you with a full report of what they’ve found. They’ll also give you a fully itemised quote to carry out the repairs so you know exactly what you’re paying for. Here at COMBI-NATION, we pride ourselves on our honesty and integrity, so we’ll only charge you for necessary repairs. In addition to carrying out a thorough Southampton boiler service, you can expect our engineers to display the very best in customer service skills. 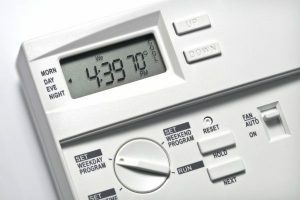 In addition to supplying a boiler service Southampton, COMBI-NATION also provides a 365 days a year emergency repairs service. We always give priority to those in an emergency situation, so if you believe there is something a majorly wrong with your boiler and it requires our boiler service in Southampton immediately, give us a call today and we’ll make sure an engineer is with you as soon as possible. Why should you choose COMBI-NATION for all of your boiler needs? At COMBI-NATION we are dedicated to making sure that all of our engineers follow our company philosophy – ‘we pride ourselves on quality’. Whether we’re giving your boiler a simple once over or a full boiler service Southampton, we’ll go to every length to ensure that each task carried out by our team is completed with care and quality. Because quality is one of the most important codes of practice for us, you can also be certain that you’ll never receive a second-class repairs job and we’ll never cut corners. All of our engineers are fully qualified, experienced, and have been especially trained to deliver a high-quality boiler service Southampton. If you’re having problems with your boiler or you’ve noticed your energy bills going up, call COMBI-NATION today to discover the best boiler service in Southampton.